Hello there everyone! So its busy season right now which means I think there will be a blog post everyday this week, whew, crazy and exciting! Today I have a look at new polishes from Glisten and Glow! 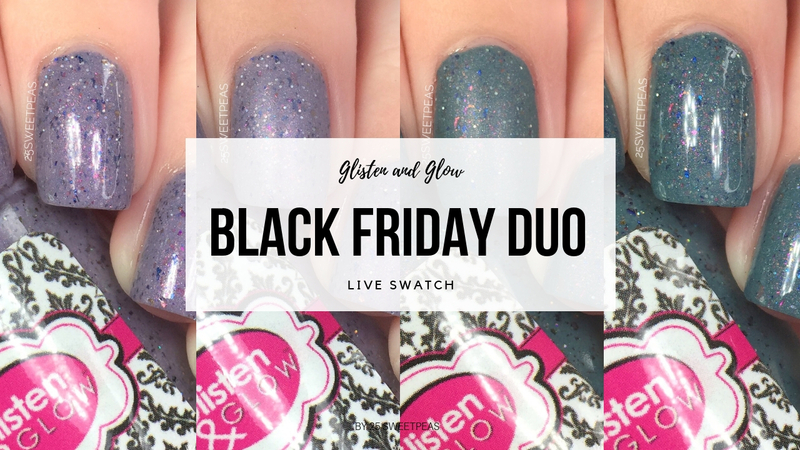 They are releasing a Black Friday Duo that is quite lovely so lets take a look! Light heather purple crème based linear holo with blue/purple UCC flakes, bronze/red UCC flakes, a strong red/blue/pink unicorn shimmers and light dusting of silver galaxy holo micro glitters. Ok if you have never used a Glisten & Glow let me let you in on a lil secret, Glisten and Glow polishes are so consistent! And this post is an example of just that. This polish so not only beautiful and perfect for lavender lovers, but the polish has such a nice formula. It has a cream crelly like feel to it but builds up in two coats perfectly like a creme and gives off such a lovely look. The shimmer is very prominent in real life beyond photos ya know, and the flakes distribute themselves very well! Plus it does also look quite nice as a matte polish! 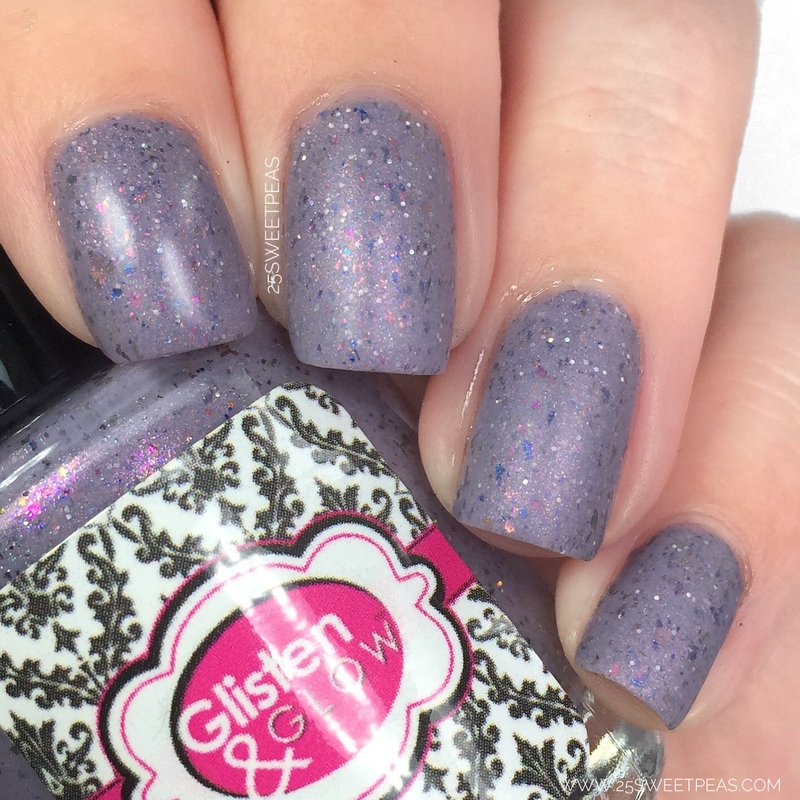 :) The silver holo micro glitters pop in the matte finish! Medium heather teal purple crème based linear holo with red/blue/purple UCC flakes, bronze/red/ copper UCC flakes, red/blue/pink unicorn shimmers and a light dusting of silver galaxy holo micro glitters. Ok I love this dusty deep teal shade! It mixes so well with the the pink toned shimmer and the various colors of flakies. The formula was perfect as the last polish we looked at. 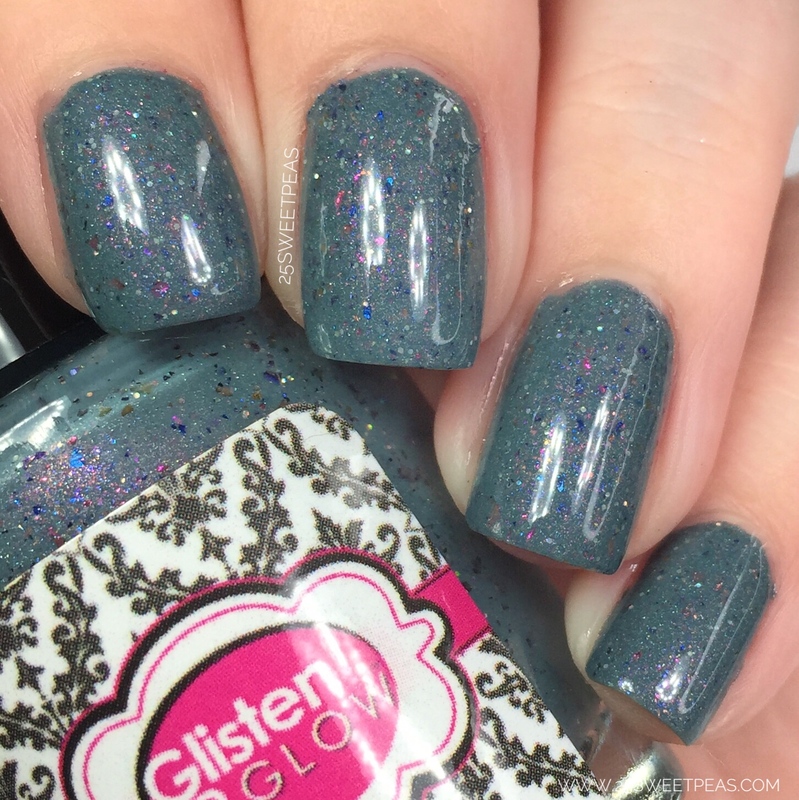 The flakies really do look nice in the darker dusty teal polish as well don't you think? I'm loving it. 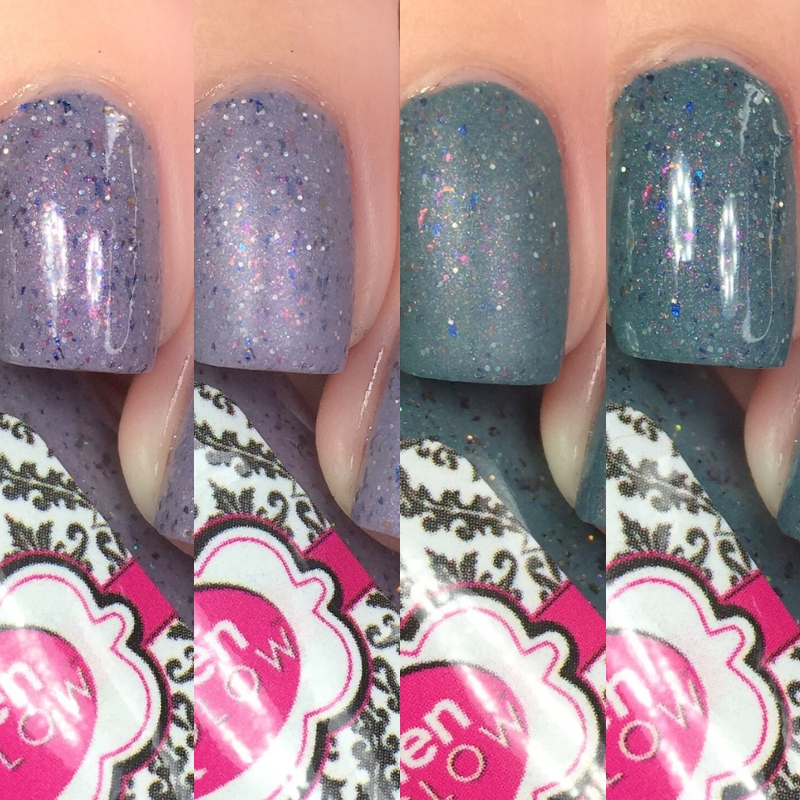 Also again it looks really neat matte and these silver holo micro glitters are popping through so nicely. This duo will be releasing on November 21st at 7PM EST. Individually they will be $11 each, but together as the duo they will be $20. Psstttt, these will be included in the Black Friday sale which will start on the 21st and run until November 28th. While I don't have the exact details of the sale yet keep checking back to my site because I'll be releasing a Black Friday Blog post with all of the sales! So what one did you like the best? Let me know in the comments below! They are great, so much going on in each Polish! I love both these colors. Such a gorgeous duo! I love these with the matte top coat. They look like interesting pebbles. These two are so pretty!